Here are nine famous on-screen cars from films released in the last 10 years, all of which are sure to be remembered for generations. There’s never going to be another Bond car like the 1964 Aston Martin DB5. And the original Batmobile will always have a fond place in cinephiles’ hearts, despite the fact that many subsequent Batmobile designs are, well, much cooler than the 1966 OG. A great movie car has to have a number of qualities. It is almost always a fast car, and usually a technically advanced vehicle as well, often with many aftermarket modifications. Good movie cars have to help out the hero (or in some cases the villain) and they have to play a role in advancing the plot. There is no official designation of the iconic movie car, so it can be hard to know what celebrated on-film vehicles will enjoy a brief run of fame and which will long enjoy lasting veneration. Given the movie cars from decades past that have achieved enduring fame, however, we’re confident in predicting that these nine movie cars from the past 10 years will remain icons of the silver screen for many years to come. Read on for nine of the best movie cars from the past decade. Don’t call it a Batmobile unless you want to upset the purists. 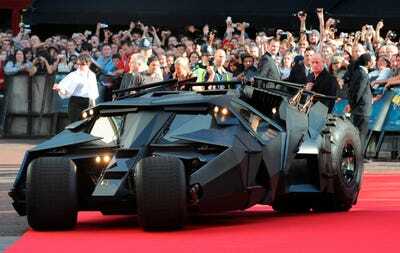 The rider preferred by the Caped Crusader in director Christopher Nolan’s “Batman” trilogy is called a Tumbler, though that name is rather gentle for a vehicle that packs in multiple cannons and rocket launchers and that can smash through concrete walls. 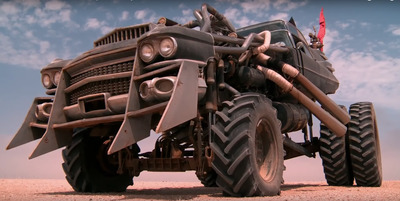 Paying perfect homage to the original “Road Warrior” and “Mad Max” films, the Gigahorse from 2015’s “Mad Max: Fury Road” was a fearsome work of engineering, combining the bodies of two 1959 Cadillac Coupe de Villes and featuring a harpoon gun and a flamethrower. Without fast cars, there is no “Fast and the Furious” franchise.